Alter Ego is an auto-flowering feminized Indica and Sativa strain. There are two strains combined in its genetics: one of them is Auto Vertigo, and another one is unknown "Х"-strain which is kept in secret by seed-bank Neuroseeds. Alter Ego, besides its high productivity, is different from other ..
Creative Reactor is an auto-flowering feminized mainly Indica strain. 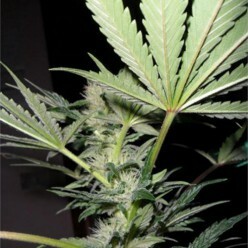 To create it Neuroseeds used such strains as Auto Whiteberry and special "X"-strain. By the way, it absorbed the best qualities and features from the first one. Creative Reactor is good thanks to i..
One of the best known varieties of hemp - White Russian - mixed with the genetics of the original Lowryder has produced Auto White Russian - absolutely one-of-a-kind variety of medical cannabis. This auto-flowering hybrid has Indica dominant traits, but it gives balanced effect of ..
Auto White Widow is one of the most famous varieties of marijuana in the world, and now you can see it in a new light, thanks to the hard work of geneticists and neurobiologists of Neuro Seeds. This variety of medical marijuana provides from 40 to 120 grams per plant. When grown ou..
Get ready to enjoy a new generation of auto-flowering cannabis, which was created by Neuro Seeds geneticists and neurobiologists! This is a new variety of Auto Somango medical marijuana, which was created specially for you by our best minds in the field of genetics and neurobiology. ..
Auto Jack Herer is an excellent variety of medical marijuana named in honor of a great man and improved by Neuro Seeds neuroscientists and geneticists. Auto Jack Herer is powerful, strong Sativa dominant hybrid, giving inspirational cerebral feeling and fresh tangy flavor. 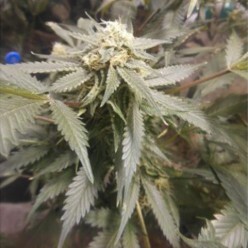 Auto Jack Herer pro..
Auto Northern Lights, developed by Neuro Seeds geneticists and neurobiologists, is a medical marijuana, which is one of the most popular varieties among those who prefer growing cannabis indoors. One the major advantages of this variety is absolute absence of any flavor during flowering. Auto..
Auto Cheese is a Cannabis hybrid which is particularly aromatic; during the short period of time it has become one of the most famous and highly sought strains of Cannabis in the world. Probably, nowadays it is one of the best actual strains. Thanks to the work carried out by ..
Auto New York Diesel was developed by Neuro Seeds mainly for growing indoors by experienced growers. Although, if you are willing to learn and have the necessary equipment, you can also achieve success. 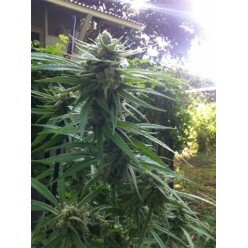 Seeds of Auto New York Diesel grow outdoors only in tropical climate. Leaves of.. Thanks to the hard work of Neuro Seeds Class geneticists and neurobiologists, Auto Amnesia has become very strong plant that grows very rapidly, with large leaves characteristic for Sativa phenotype. This new variety is specially bred by the best specialists in neuroscience and genetics. Internod.. This variety of marijuana, Auto AK 47, is the perfect combination of both strains of famous genetics of AK47 and Lowryder, which together gave birth to extremely strong therapeutic variety with excellent growth characteristics and beautiful appearance, designed to please both recreational users a..
Super Skunk has brought delight to lovers of cannabis since 1990, thanks to its superenergetic, super power, superaroma qualities. 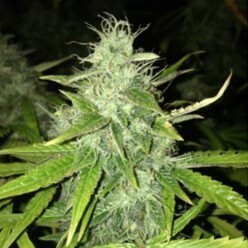 The best features of the world-famous Super Skunk were mixed by Neuro Seeds geneticists and neuroscientists with energetic varieties of Ruderalis to create exclusive ..